After deciding the LT275/70R18 was my perfect 33-inch tire for an 18-inch wheel, and seeing there is a nice selection of tires in this size, a tread had to be chosen. This was relatively easy as I’m familiar with most of the popular light-truck traction tires. I’m a fan of Cooper Tires and their subsidiaries, and the new S/T MAXX design was already on my to try list, offering the type of any-terrain tire I prefer—not too biased toward on or off-highway. Cooper calls this a 50/50 tire (on/off pavement) and I’d say they are very close to hitting that mark. After some online shopping, my local Discount Tire matched a price from TireCrawler, a mere $242 each delivered. (This was a few months ago; tire prices change, usually increasing.) Discount ordered the tires and a few days later I hauled my 18-inch wheels to their shop for mounting and balancing. Cooper says the LT275/70R18E MAXXs are 33.35 x 11.2 inches and my scale said they weigh 60.5-pounds each. Combined with the relatively heavy, 30-pound, 18-inch cast aluminum SR5 Tundra rims, each tire/wheel combo weighed 91-pounds! Once you get your hands on one, there will be no doubt the S/T MAXX is a super stout tire. The scale tells part of the story, though not all load-range E or 3-ply sidewall tires are created equal (see Wheels, Tires, and Sidewalls). Grab an unmounted ArmorTek3® sidewall and give it a good jerk back and forth, they’re stiff, similar the Toyo MT, and more substantial than the 3-ply sidewalls on the very common BFG All-Terrain. 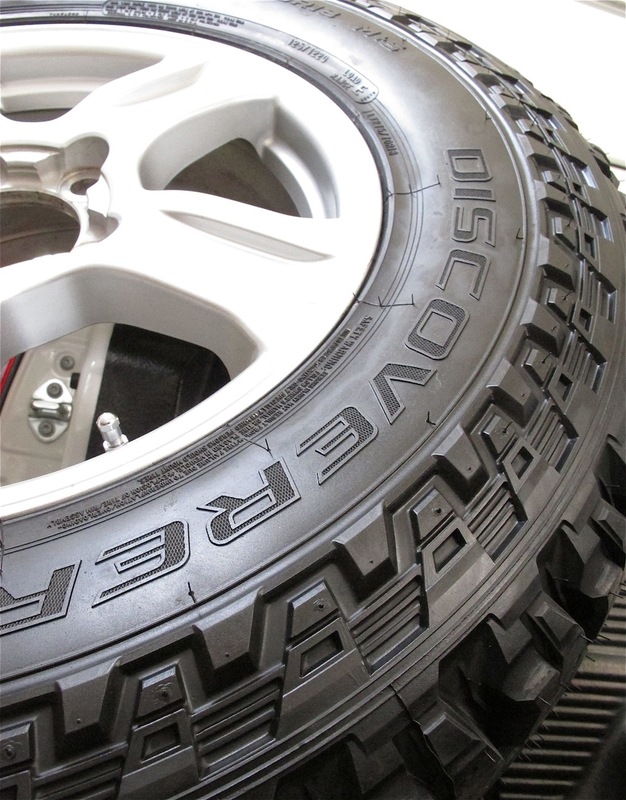 The MAXX sidewalls are much stiffer than the older and lighter-duty Cooper S/T, which offers flexible sidewalls and very little sidewall tread. Similar name, and I like both treads depending on the intended application, but they are very different tires. Try not to confuse the S/T MAXX with the S/T, or the Cooper STT… maybe Cooper needs some new letters? The S/T MAXX has beefy sidewall lugs/tread. The S/T MAXX is an impressive looking tire. The sidewall lugs are attractive and thick, more impressive in person than in the photos I’d seen, and possibly the most aggressive sidewalls I’ve seen on a tire in this class (not a mud-terrain). The tread is a hybrid 4–5 rib design with a bit less void than the older 4-rib S/T, the center circumferential groove is noticeably missing. There is a moderate amount of siping and the cut & chip resistant compound is studdable. 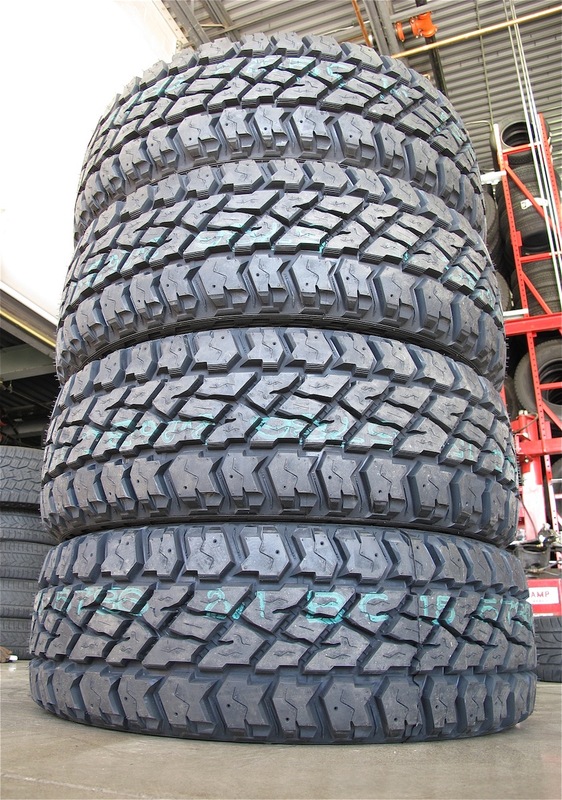 Cooper describes the MAXX as a “commercial grade traction tire”, an accurate description. 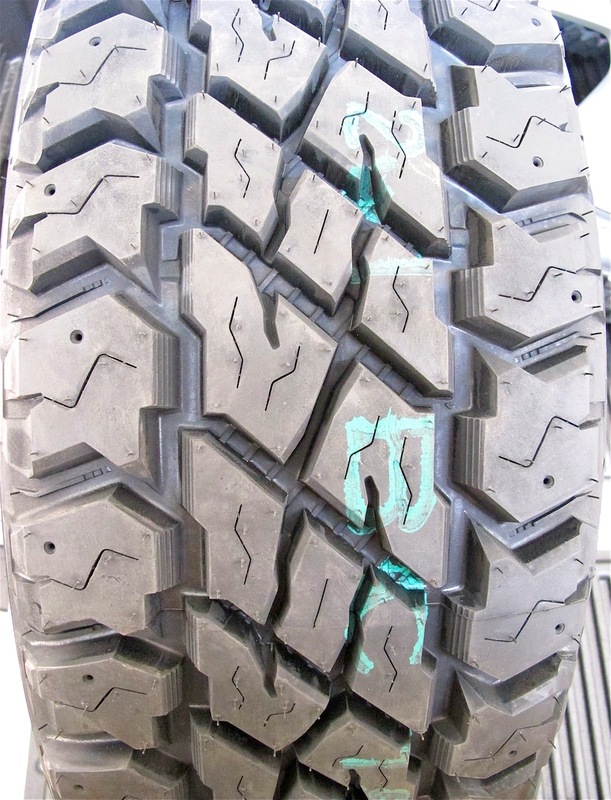 S/T MAXX 4-5 rib hybrid tread design. Mounting a 275/70R18 S/T MAXX on Tundra 18 inch SR5 aluminum wheel. 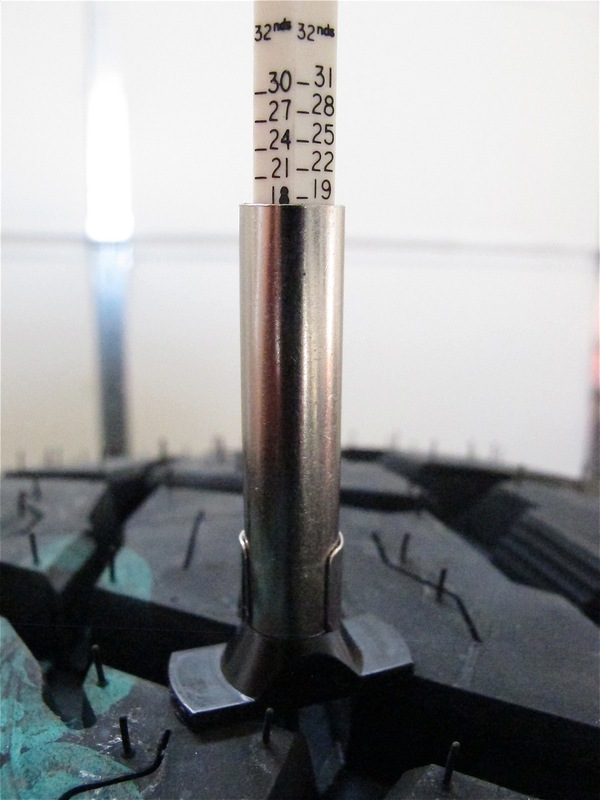 Mounting the first tire and giving it a spin on the balancer showed it wanted 3.25-oz. inside and 4.75-oz. outside for a dynamic balance. Eight ounces is not much weight for a 91-pound spinning mass, but I generally like to add less weight to my wheels when possible. While dynamic balancing is the technically the best as it balances in two planes, I’ve had many positive experiences using the single plane static balance method for heavy RV tires (an old term). Static spin balancing counters vertical imbalance (hop) of a tire & wheel, and I don’t run very wide tires where dynamic balancing can be more important. Generally, I see how the first couple tires in a set balance and if they can be dynamically balanced with moderate weight, that’s what we do. If they are going to ask for substantial weight using the dynamic method, I choose static. Modern balancing machines are very good. Sometimes this difference can be very dramatic. A few months ago a heavy, high-quality tire wanted about 9 ounces for a dynamic balance, but only 1.5 ounces for a static balance. Guess which one I chose? The S/T MAXXs were single pane balanced and the road force (RF) was also measured—which was very low—another indication of quality. 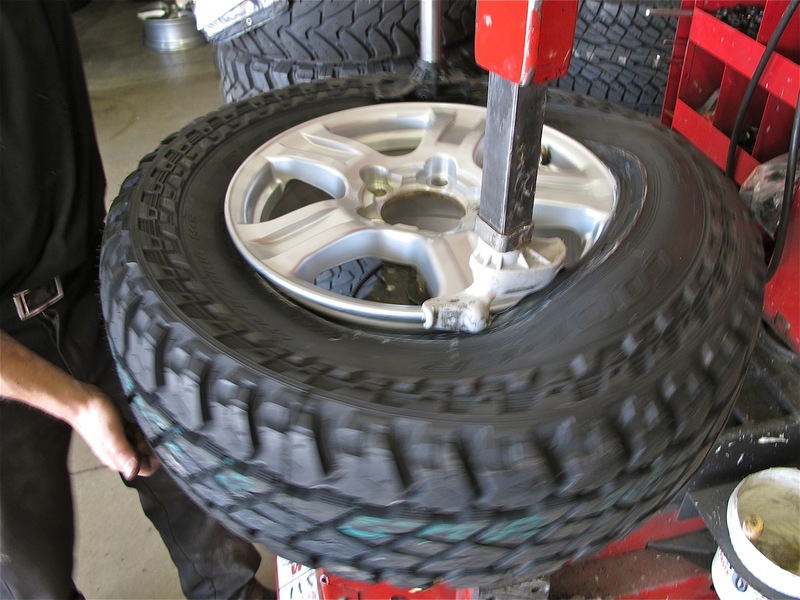 For more thoughts on tire balancing you can read Static Balance Details. Cooper Tires’ website lists the tread depth for every S/T MAXX currently made as 18.5/32″, which it probably is. But it would be pretty easy to call this 19/32″ as measuring down to one-sixty-fourth can be a challenge. The original tread depth is important, more is better for most truck tires, though the long-term wear rate is also important. Combine deep tread with a low rate of wear and you have a long-lasting tire. LT275/70R18E COOPER S/T MAXX tread depth. Because my original 17-inch Tundra TRD wheels use tapered lug nuts, which are uncommon for modern Toyota trucks, I needed new shank-style nuts for the 18-inch wheels. Searching online I found a source for the Gorilla brand lug nuts and locks, a complete set was delivered for about $110. I’ve been using an impact-gun on Gorilla wheel locks on my 4Runner for years, and they have held up to my intense use. I wish they would fit on the OE 17-inch TRD Tundra wheels. 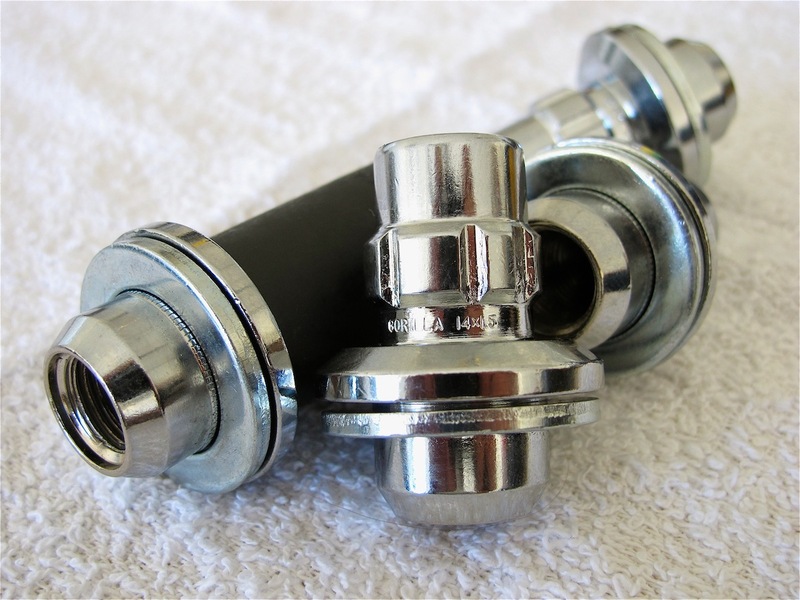 Shank style Gorilla locking lug nuts needed for SR5 wheels.